So, wow, what can I say? 2016 was an absolute whirlwind full of the highest highs but also a few of my lowest lows. As per my previous blog post, you’ll know that I transferred from the lovely folk over at Wirral over to Rainy City. This was a big change for me. I had thought about it for a long time but was scared to act upon it. But I was brave and I did it! If I’ve learnt anything from last year it was that sometimes you have to take a risk and push yourself outside of your comfort zone. You only get one chance in life so you have to make the most of it. PMA tattoo on my hand as a reminder. I wanted to write a blog post about ‘PMA’ (positive mental attitude) and also as a reminder to myself really. I was going through a bit of a tough time towards the end of last year and wanted to get ‘PMA’ tattooed on myself as a reminder not to be a ‘Negi Nancy’. I got this tattoo on my hand so every time that I ‘hung my head low’ or felt down I would see this little tattoo and it would remind me to snap out of my bad state of mind. So, what’s happened since last year? I made it as a cross over to the All Stars! I can’t even begin to explain how happy it made me feel when it was announced. I cried (with joy) but I also didn’t expect to have some other emotions come out at the same time. I’ll elaborate – When I first joined in Rainy City I made some ‘SMART’ goals and one of those was to make it as A/B crossover within a set time period. And I did it…. and it was the absolute best feeling I’ve ever had! I started training properly with the All Stars in January and I have learnt so much already but with that, I’ve also learnt some other things that may help people in the same boat as me! 1. Things take time. Don’t beat yourself up if you can’t do a one foot transition the very first time you try (this totally happened)! I know it sounds ridiculous, but the amount of pressure that I put on myself to be able to nail a drill straight off is pretty ridiculous. I feel that I’ve been guilty of doing this on more than one occasion! I made myself feel a bit better when I read Lexi Lightspeed’s blog on Pressure. It made me realise that some of the expectations that I thought other people had about me were pretty much imaginary. I am a perfectionist and learning how to deal with this has been challenging, but I am getting there. 2. Be Patient. Over the last few months I have been learning my team’s different gameplay and strategies. I’m not going to lie – it took me a few months to finally get my head around all of the different walls and offence/defence switches. It’s normal for things to take time. I had transferred from a league where I knew all of my players inside and out. I would give certain players ‘a look’ and they would know exactly what to do. You don’t get that straight away – this stuff takes time to build up and when it eventually happens it’s such a beautiful thing! 3. Don’t compare yourself to anyone. I once read a good quote on this and it said “Comparison is the thief of joy” and it really is! What is the point in doing it? (This is also something I am very guilty of.) You have to remember that everyone’s skill set is completely different. You can’t expect for everyone to just learn something exactly the same way at the same time. I find it pretty important to track your progress. I have teamed up with a fellow jammer and we speak about our goals for the session and then at the end we have a debrief face to face or via Facebook to speak about where we’re at! 5. It’s okay to rest when you are sick or injured. So this is something that resonates quite a lot with me at the moment. For some reason and I presume it’s because I’ve recently turned a year older, my poor knees seem to be acting up quite a bit! This is because when I have had previous injuries I have pushed myself harder than what I was meant to as I had fear of missing out! This in hindsight is pretty stupid! 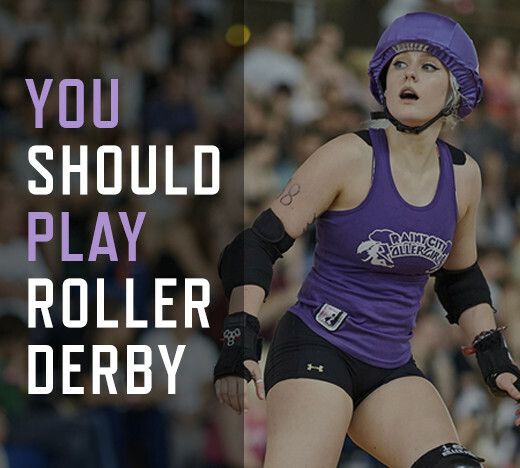 My wonderful team mate Kate Push sent me this blog from Roller Derby Athletics, which I think sums up this section perfectly. So if you feel sick or exhausted…..give yourself a break…it’s okay! You’re not a robot! 6. Hard work pays off. I am a strong believer that hard work pays off. I have always believed that you should have to fight for your place on a team. I will always remember that feeling I had when I first got my A team jersey when I was with Wirral. I had worked so hard to get to that place and being asked to play and to be given my jersey is a memory that I will forever treasure. Some people will reap the benefits sooner than others but that doesn’t mean you give up. You have invested so much blood, sweat and tears in to this sport you should hold your head high and never give up. Your time will come and when it does you will be able to look back on all of this and forward this on. 8. Stop doubting yourself. What it says on the tin! I’m going to share a piece of writing from a book called Your Own Worst Enemy by Ken Christian because I think it’s really important and has helped me start thinking in a different way . Eliminate loophole language that expresses and invites equivocation. “Try,” as in “Try to do it if you can,” is a sorry, sickly little word that insinuates itself regularly into otherwise reasonable requests and kills their power. The use of try in the sense of “attempt” actually contains an implicit directive to stop short of succeeding. When someone says “Try to,” or “Just try your best,” they are suggesting that you mount some kind of effort but not expect to be successful. 10. Gratitude. Be thankful for what you have. I go on about how grateful I feel to be part of such a successful league, but honestly everything is just so exciting at the moment! I feel like a proud parent. 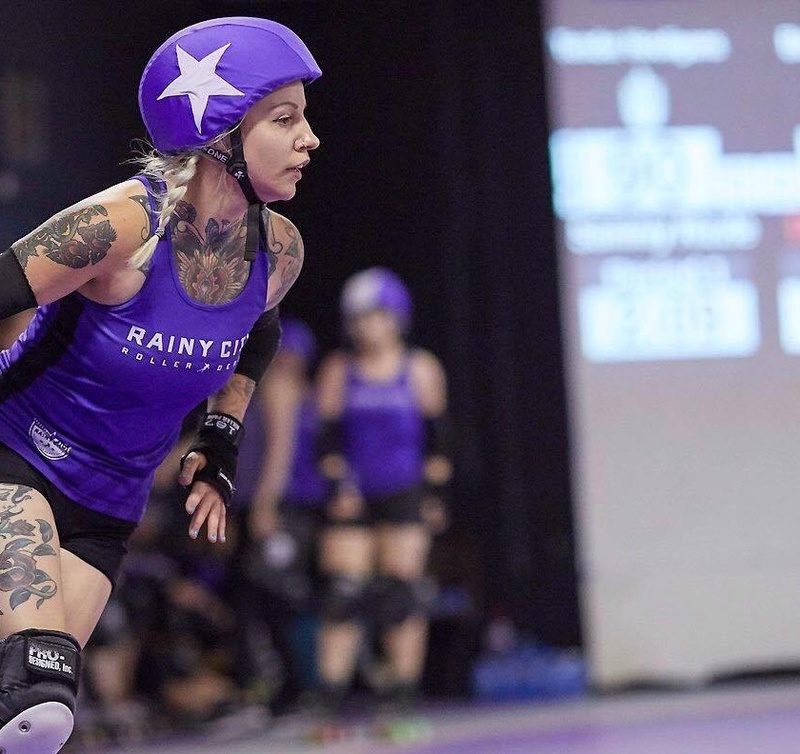 We’re hosting the Roller Derby World Summit and also the Roller Derby World Cup! How amazing is that?